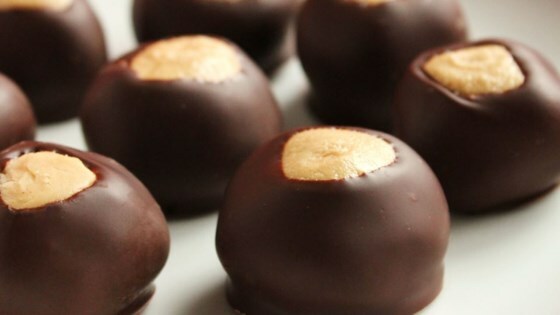 "These are chocolate-covered balls of peanut butter and confectioners' sugar." Why didn't I listen??? Four cups (sifted) was way too much sugar. Mine were very dry and crumbly. I used Jif and blue bonnet if that helps anyone. I'll definitely try again with 3 cups of sugar.